Suicide claims 40,000 lives each year, and it is the second leading cause of death among Americans aged 15–39. But with more attention being paid to suicide prevention than ever before, research, advocacy, and new health care initiatives promise to save countless lives and promote hope. The EDC-operated Suicide Prevention Resource Center (SPRC) is playing an essential role in building U.S. capacity to prevent suicide. 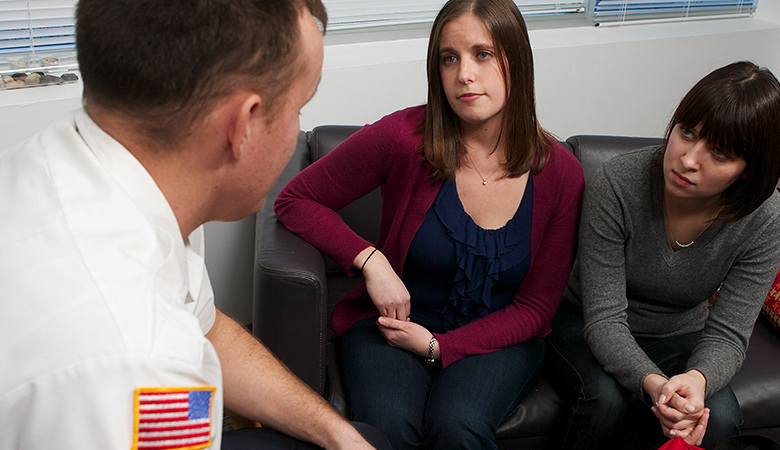 As the nation’s only federally supported resource center devoted to advancing the National Strategy for Suicide Prevention (NSSP), SPRC provides technical assistance, training, and materials to increase the knowledge and expertise of professionals serving people at risk of suicide. More than 11,000 people receive the Weekly Spark, SPRC’s e-newsletter. More than 8,000 professionals have participated in SPRC’s Research to Practice webinars. SPRC’s online courses reached over 5,000 people in 2014. This guide is designed to assist emergency department (ED) health care professionals with decisions about the care of patients at risk of suicide. It provides information for effectively intervening with a patient at risk, assessing if the patient can be discharged or needs further evaluation, and setting up follow-up care after discharge. Tools include the Quick Guide, Decision Support Tool, discharge planning checklist, and more. This toolkit provides ideas for integrating suicide prevention into the work of senior centers. Topics include substance abuse, mood disorders, risk and protective factors, as well as crisis response, building partnerships and coalitions, and creating awareness and outreach. SPARK Talks—Short, Provocative, Action-oriented, Realistic, and Knowledgeable—are feature videos of leaders in the suicide prevention field describing a new development or direction and issuing a call to action. This resource library maintained by the Suicide Prevention Resource Center (SPRC) includes products created by SPRC and its partners as well as toolkits, fact sheets, guides, upcoming trainings and conferences, news, and programs developed by suicide prevention grantees and others in the field. This free workshop kit is designed to help staff in schools, youth-serving organizations, and suicide prevention programs take action to reduce suicidal behavior among lesbian, gay, bisexual, and transgender (LGBT) youth. Topics covered include suicidal behavior among LGBT youth, risk and protective factors for suicidal behavior, strategies to reduce the risk, and ways to increase school or agency cultural competence. This resource is designed to help suicide prevention programs in state, tribal, campus, and community settings build and strengthen connections with their substance abuse prevention and treatment counterparts.